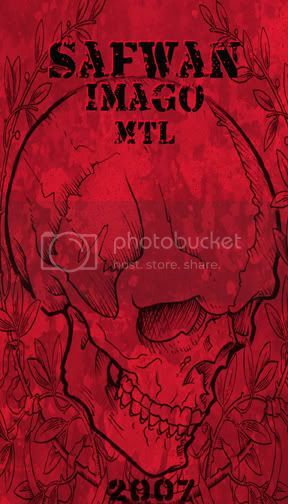 La majorité du crew d'Imago participera à la convention de tatouage de Calgary du 14 au 16 septembre. Nat Jean, Nima, Jean Michel, Hugues et moi-même serons accompagnés de notre grand ami et illustre tatoueur de Madrid; Jee Sayalero. Ne manquez pas cet évènement, y'a du bon temps et du bon tatouage en perspective! Most of the Imago crew will take part in the Calgary tattoo show from the 14-16th of September. Nat Jean, Nima, Jean Michel, Hugues and my self will be with our great friend and awesome tattooer from Madrid; Jee Sayalero. Don't miss out! Good tattooing and good times ahead!